A versatile cooler bag that will keep your food fresh and beverages cold for long periods of time. No more looking through brown lunch bags to find your bag, when you have this great choice. Roomy main compartment of 14.5 litres and helps you keep things cold and your lunch insulated. Easy to carry and care for this cooler bag, and will add both fashion and function to every meal. 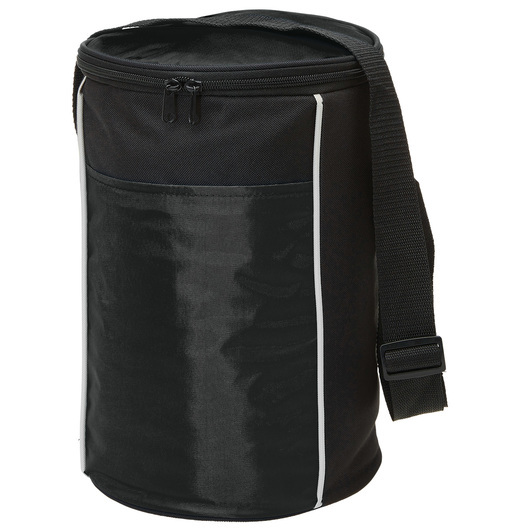 It features a front slip pocket, 5mm foam with PEVA lining, dual zippered lid, and adjustable webbing shoulder strap. Manufactured from 420D polyester with PVC backing and 600D polyester contrast panels. Portable, cute, and functional cooler bag. A very versatile cooler bag that keeps your food and stuff cool for a long time. Easy to carry around and store. Perfect item to add style to your lunchtime routine.